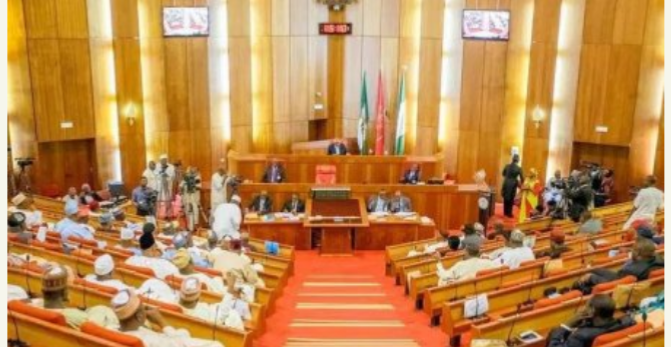 The Senate has threatened to issue arrest warrant against the Inspector-General of Police (IGP), Mr Ibrahim Idris, for failing to appear before its ad-hoc committee investigating allegations of abuse of office against him.. The Chairman of the ad-hoc committee, Sen. Francis Alimikhena, issued the threat when the IGP failed to appear before the committee on Wednesday. Alimikhena, who is also the Deputy Chief Whip of the Senate, said the IGP was summoned on Oct. 16 to answer allegations made against him by Sen. Isah Misau (APC-Bauchi). Alimikhena said rather than honour the invitation, his lawyer, Alex Iziyon, wrote to the committee informing it that the matter was already in court. He said: “nobody, including court, can stop the Senate from carrying out its constitutional duties. “The separation of powers guaranteed by law, made it explicit that the Senate cannot be prevented in carrying out its constitutional duties by any other arm of government. “If the IGP fails to appear on Nov. 7, the committee would invoke Section 89 of the Constitution of the Federal Republic of Nigeria to compel him to appear. “He will be summoned again and must appear next Tuesday, 7th of November.